Sparse matrices provide efficient storage of double or logical data that has a large percentage of zeros. While full (or dense) matrices store every single element in memory regardless of value, sparse matrices store only the nonzero elements and their row indices. For this reason, using sparse matrices can significantly reduce the amount of memory required for data storage. 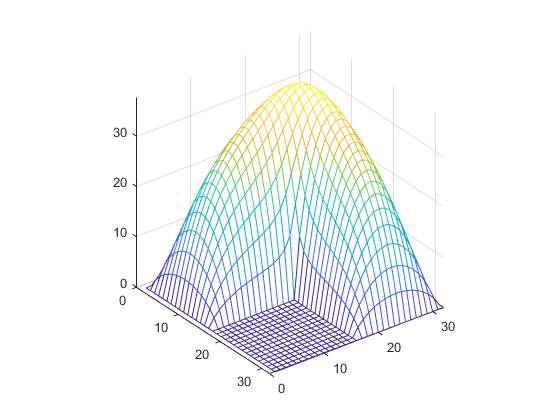 All MATLAB® built-in arithmetic, logical, and indexing operations can be applied to sparse matrices, or to mixtures of sparse and full matrices. Operations on sparse matrices return sparse matrices and operations on full matrices return full matrices. For more information, see Computational Advantages of Sparse Matrices and Constructing Sparse Matrices. Storing sparse data as a matrix. Advantages of sparse matrices over full matrices. 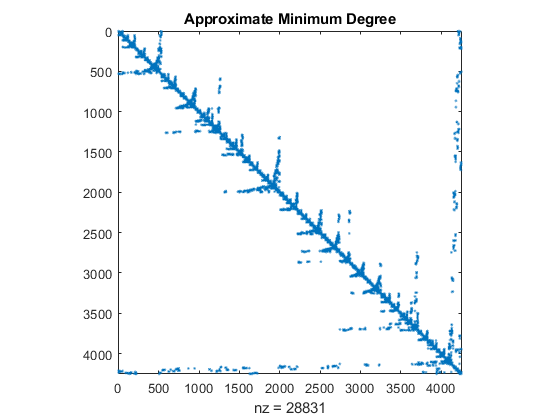 Indexing and visualizing sparse data. Reordering, factoring, and computing with sparse matrices. This example shows how reordering the rows and columns of a sparse matrix can influence the speed and storage requirements of a matrix operation. This example shows an application of sparse matrices and explains the relationship between graphs and matrices. Compute and represent the finite difference Laplacian on an L-shaped domain. The finite element mesh for a NASA airfoil, including two trailing flaps. More information about the history of airfoils is available at NACA Airfoils (nasa.gov).